Length - 9ft; Breadth-2.5ft; thickness-4inches. The height of the equipment including the height of the stand is 2.5ft. 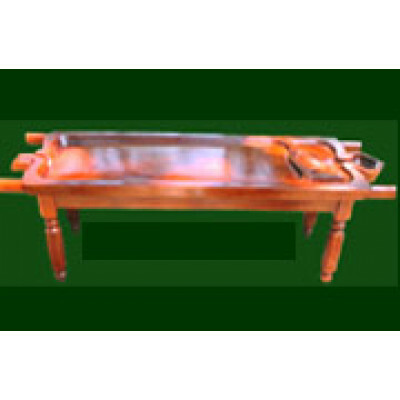 The equipment can also be crafted according to order bringing variations to the length, breadth, thickness, model, wood and so on as per the desire of the customers.